Subtitle: Freemasonry now guarantees Israel's existence, just as we stated earlier! Palestinians have to be shaking in their shoes, knowing what is coming next! Amidst all the hue and cry over the surface appearance that Prime Minister Sharon and Shimon Peres are setting the stage for Israel's national destruction, Cutting Edge has always maintained that global Illuminist Freemasonry will not allow Israel to be destroyed. How can this be so? We reveal the truth in NEWS1643 -- "Fervent Masonic Desire To Rebuild Solomon's Temple Is The Driving Force Behind Events In Israel: Once Completed, Prophecy Will Be Fulfilled". If you have not read this article, we encourage you to stop right now and do so, for then you will understand the precepts of this article. 1. European and American Freemasonry draws all its allegories, symbolism, and future plans from the Jewish sacred writings known as the Old Testament. Since world events are being driven by European and American Freemasonry, this consideration is most important. 2. Freemasonry has always planned to gain control of the Temple Mount so they can rebuild Solomon's Temple. As soon as they rebuild this Temple, their Masonic Christ will appear on the earth, claiming to be the Jewish Messiah for whom Israel has long been awaiting. This "Christ" will be the Biblical Antichrist. 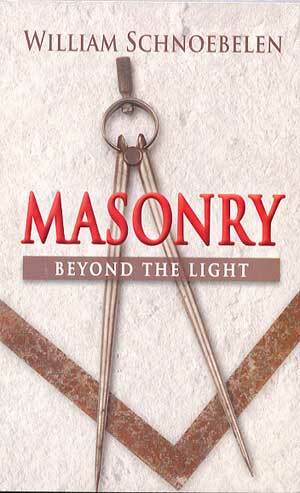 Masons do NOT forget history, and I can tell you that they have been secretly planning their revenge. When they exact their revenge against Muslim forces, all sorts of End of the Age prophecies will be fulfilled, from Obadiah 15-18 to Zechariah 12. With this information as background, let us now review our current article, to see that global Freemasonry is alive and well in Israel, plotting their seizure of the Temple Mount from Muslim control so they can rebuild Solomon's Temple. "This picture was taken by a friend while in Eilat recently. It is on the road that crosses the border and one of the first things a visitor sees when coming from Egypt into Israel. I have written about the involvement of Freemasonry in the Israeli Government mainly through the Supreme Court and the Knesset. But this makes a clear statement to anyone crossing the border into Israel that the Illuminati (or freemasons) are in control here." We concur with Mr. Golden's analysis, even though the evidence is anecdotal. Erecting a symbol like this at a strategic border crossing into Israel is something Freemasons would do when they feel well entrenched and want the public to know the extent of their power. 1. The two Enochian columns are clearly visible. These two columns are among the most famous of Masonic symbols. 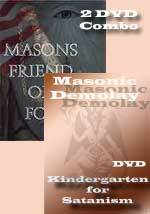 Listen to how very important they truly are in Masonic history. We need to go back to the works of Sir John Dee (1527-1608), a deist mystic who was the official astrologer of Queen Elizabeth I. "... one of Dee's biographers described him as 'Elizabethan England's great magus' ... Dee was a practitioner of 'Hermetic gnosticism', a school of thought based on the ancient pre-Christian teachings of the Greek god Hermes. Hermes was in fact a mere copy of the much earlier Egyptian god of knowledge and language, Thoth. In this sense, all 'Hermetic gnosticism' can be viewed as a worship of the teachings of Thoth. According to the Egyptian mythos, Thoth was one of the gods who came down to Earth, along with Isis and Osiris, to bring the fruits of knowledge, civilization and the sciences to the Egyptian people ... In 1581, using his knowledge of these ancient practices, he began a series of attempts to communicate with 'higher beings'. His channel in this capacity was one Sir Edward Kelly..."
Let us stop right here to assimilate what we have just learned. 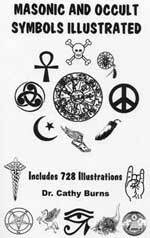 John Dee, a favorite with Queen Elizabeth and her astrologer, believed -- as do Rosicrucians and Freemasons -- that benevolent "higher spiritual beings" are just waiting in one of many other dimensions to aid "Perfected Men" like Dee, men who have perfected themselves through proceeding up through the ranks of the secret societies. Sir Edward Kelly was the spiritual "channeler" through which Dee contacted spiritual beings. This is the practice in which Sir John Dee was immersed, and it is a practice common to Rosicrucians and Freemasons, even today. Notice, finally, that Dee's activities were fully supported at the highest levels of the English Crown, both by Queen Elizabeth I and her Foreign Policy Adviser, Sir Francis Bacon. Let us now go back to this article to see the first time Dee "successfully" contacted a "higher spiritual being". When you see the two pillars of Freemasonry, just remember they represent the columns which this mystically re-created Enoch created in order to "preserve" the deeply occultic knowledge which perished when Atlantis was destroyed. 2. The pyramid which is prominently displayed between the two columns is significant because it is topped! In other words, it is not uncapped like the pyramid on the back of the American One Dollar Bill, which has the Eye of Horus (Lucifer) hovering over it. The pyramid of Gizi, Egypt, is also uncapped, representing the reality that the progress toward the New World Order is still unfinished. Once this global system is established, the pyramid at Gizi will be capped, probably by the Masonic New Age Christ -- the Biblical Antichrist. The fact that this pyramid is capped means that the Great Work is considered finished. At least in Israel, the work is finished. This is highly significant because Israel was established by the global Illuminati, as is proven by their hexagram on the Israeli flag. We explain this reality in NEWS2128. At the very time when Prime Minister Sharon and his assistant Shimon Peres are finally taking the last steps in separating the Jewish population from the Palestinian so the prophesied annihilation can take place (NEWS1622), Freemasons erect a large symbol which contains a capped pyramid! In the eyes of the global and the Israeli Illuminati, the work is so close to being finished, they can show a pyramid which is capped. Does this mean the appearance of the New Age Masonic Christ is close, or does it just mean that it is inevitable? 3. The Masonic symbol of the compass and square with the "G" in the middle is one of the most important symbols in all of Freemasonry. As we reveal in NEWS1986, the compass and square are simply a heinous hexagram with certain key parts removed! We also reveal the hidden sexual connotation of the "G"! 4. 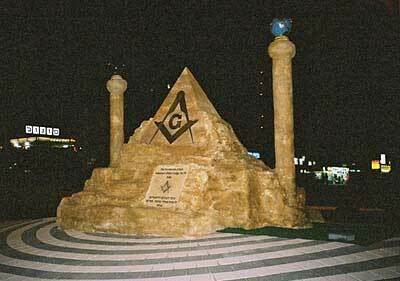 In the area surrounding this large Masonic symbol, we see the alternating black and white tiles, typically Freemason, as it symbolizes the balance of Nature, Yin/Yang, Light/Darkness. Once again, we are faced with the reality that global Illuminized Freemasonry tightly controls Israel, just as they have since May 14, 1948, when Israel announced her statehood. In fact, Illuminized Freemasonry controlled the worldwide Zionist movement since 1896, also as is evidenced by the hexagram symbol. 1. With no Israel, Freemasonry will have no nation for their Masonic Christ to appear to, claiming to be their Messiah for whom they have been awaiting, a claim which will fulfill prophecy. 2. With no Israel, Freemasonry will have no control over the Temple Mount, so they will not be able to build their coveted Solomon's Temple -- the temple Antichrist shall profane as foretold in Matthew 24:15 and Daniel 9:27. 3. With no Israel, Freemasonry cannot complete all their beloved Old Testament types and allegories. All this planning will go for naught if the Illuminati allows Israel to be nationally destroyed. 5. With no Israel, Jesus Christ will have no nation to appear to in fulfillment of Revelation 19:11-21. 6. If God allows Israel to be destroyed, He has shown Himself to be less than Omnipotent and a liar to Abraham. Please carefully read NEWS1010 for Biblical prophecies clearly showing God's precious promises to national Israel. While we say, tongue in cheek, that Illuminized Freemasonry has guaranteed Israel's national survival so they can deceive Israel with their Christ, we realize that the ultimate power which will guarantee that Israel will survive is the Omnipotent power of Almighty God. But, tough times are ahead, so tough that, finally, the Archangel Michael shall have to "stand up" to defend Israel [Daniel 12:1]. God is not finished with Israel; in fact, He has barely begun. After bringing Israel back in a state of spiritual unbelief in Jesus, just as He foretold in Ezekiel 36 (NEWS1408), God is getting ready to force Israel to pass through the fires of the Tribulation Period, a time when all sinners and rank unbelievers will be killed by Antichrist (Zechariah 13:8, as we explain thoroughly in NEWS1882). Genuine Christians must pray that God will bring through His One-Third Remnant through the fires of persecution as His wonderful Scriptures foretell. Even though Israel is now completely controlled by the despicable Illuminati, we Christians must love the Israel which will be left after the Two Thirds unbelievers, rank sinners, and Illuminists fall on the sword of Antichrist. Truly, these events tell us the End of the Age is extremely close.